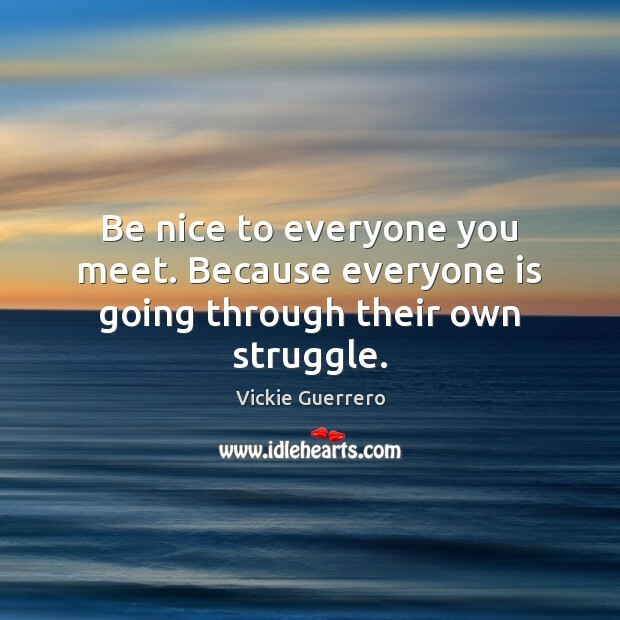 Quotations about Be Nice To Everyone. Quotes to stimulate mind and drive action! Use the words and quote images to feed your brain inspiring things daily! Be nice to everyone you meet. Because everyone is going through their own struggle. 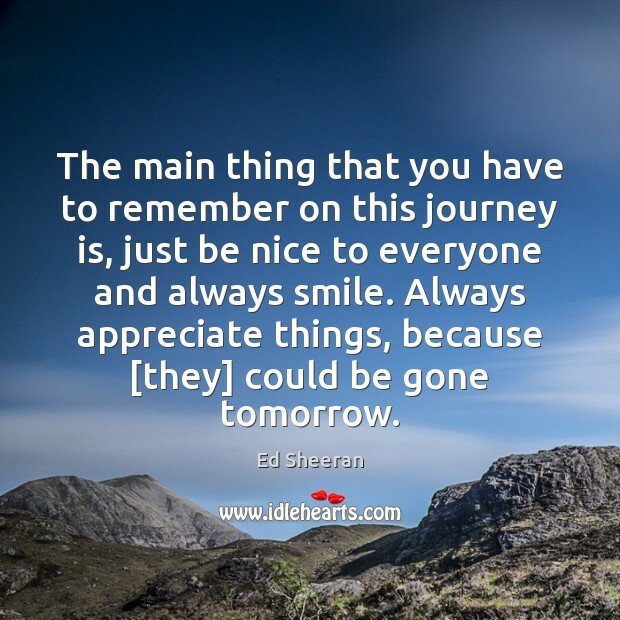 The main thing that you have to remember on this journey is, just be nice to everyone and always smile. Always appreciate things, because [they] could be gone tomorrow. 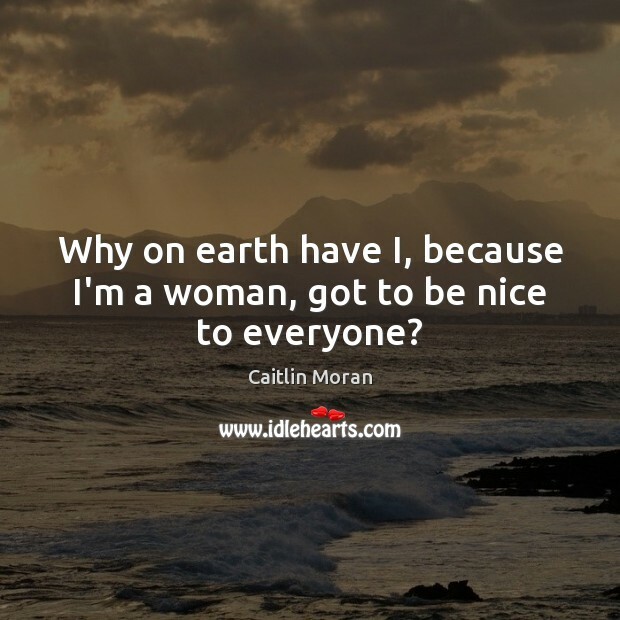 Why on earth have I, because I'm a woman, got to be nice to everyone? 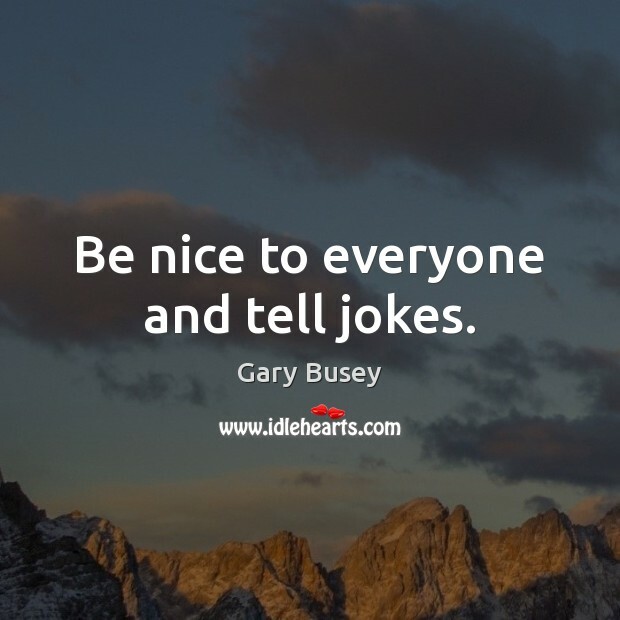 Be nice to everyone and tell jokes. 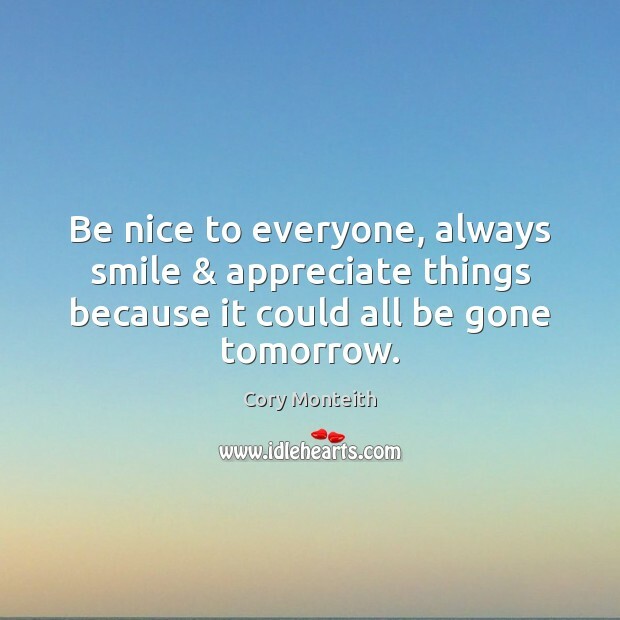 Be nice to everyone, always smile & appreciate things because it could all be gone tomorrow. 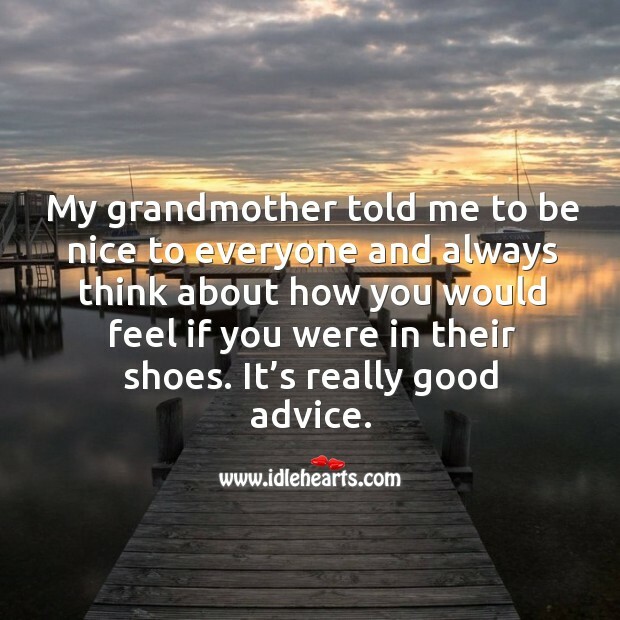 My grandmother told me to be nice to everyone and always think about how you would feel if you were in their shoes. It’s really good advice.